I got to go cropping on Sunday. A full day, hanging out scrapping all day long crop. I haven't done that in forever. It was so much fun! At the crop I scored a couple of 6x6 paper pads by Simple Stories and Authentique . I had tucked the January SOTM and Cute Koalas in my bag at the last second, so then this happened. I used Sketch 90 from the Atlantic Hearts Sketch Challenge. This was the Simple Stories Pad plus a bit of woodgrain scrap I had tucked into my bag. I only had the red acrylic hearts, so I colored them with a black sharpie and then gilded them with my fav stardust glitter pen for a new look. Luckily I had some of the Pathfinding cork circles in my bag, which when perfectly with the sketch and this pretty paper! 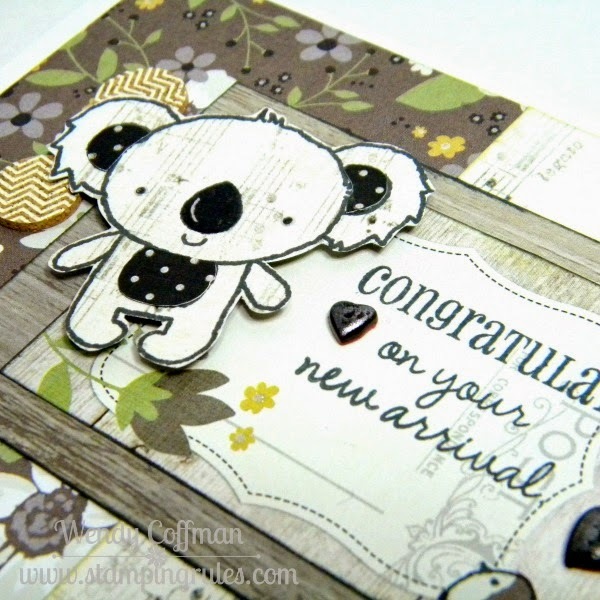 So I still had the Authentique pad in front of me, and I knew this koala would be adorable in polka dots...so I made a second card. I used a leftover My Crush Holiday Happenings Card for that gold trimmed banner. I'm linking these up to the Heart 2 Heart Old is New Challenge! Two cards in and still I hadn't touched the January SOTM. So I started piecing woodgrain koalas and pondering. Come back tomorrow to see where my woody little koalas ended up! 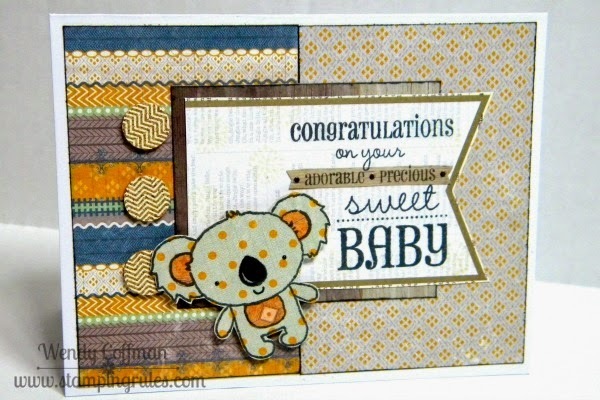 And don't forget to pop over to Atlantic Hearts to play along with this versatile sketch! This is so adorable, it made me squee with delight when I saw the koala! I am in New Zealand so didn't think I would use this stamp set, but you may have changed my mind. Thanks for sharing with us at H2H and AHSC! Wow. They're both awesome but the first one is my favorite. Good work mixing and matching the products. Thanks for contributing to Heart 2 Heart. When I was younger, I wanted a koala...LOVED them and LOVE your card...always do! Thanks for linking up to H2H! These are adorable! Thanks for joining us @ H2H! Everyone else has already said how adorable these cards are, but that's the first word I thought of, too. 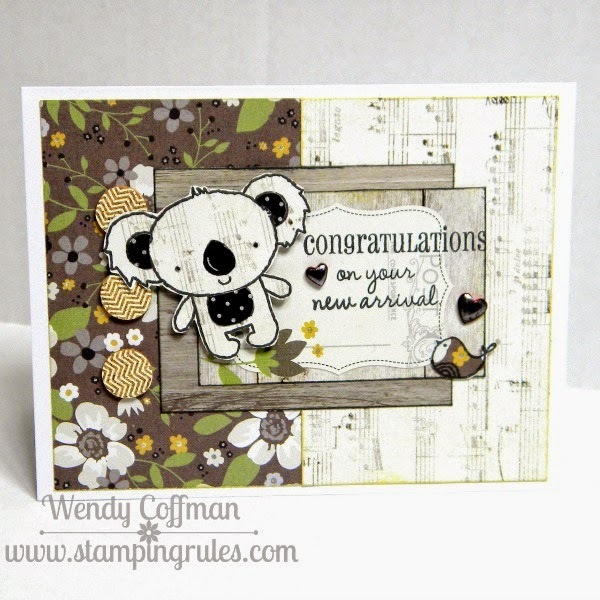 :) Sweet cards, and that koala stamp set has been on my wish list for some time now. 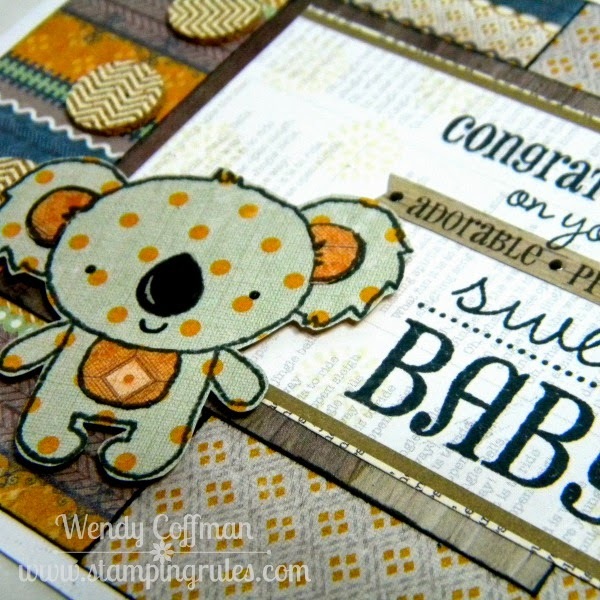 Great card, that Koala is adorable! Thanks for playing along with H2H!